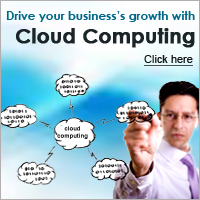 The recent advances in technology have completely revolutionized the way business is conducted. From building customers, serving them, handling their queries to finally delivering them value, it all is being done increasingly successfully with the use of Internet and the World Wide Web. The virtual world is now real. With this new wave of technology, there is only one way to stay ahead. This presents itself in the opportunity called eCommerce. eCommerce is nothing but the activity of conducting the business electronically online. Progressive companies are adopting a web centric business approach that is content driven, collaborative and interactive to garner new customers or to increase their existing customer base and increase their revenues. It has turned out to be the easiest, cost effective and efficient way to conduct business. Harnessing the benefits of eCommerce to achieve your business objectives is now available to you easily. Presenting to you eShop- it’s the magical complete eCommerce solution that will help you broaden your horizons by making your business web enabled. This product will help you realize your dreams of having your own online shop easily within a matter of a few minutes. To know more about eShop, contact our ecommerce professionals today!